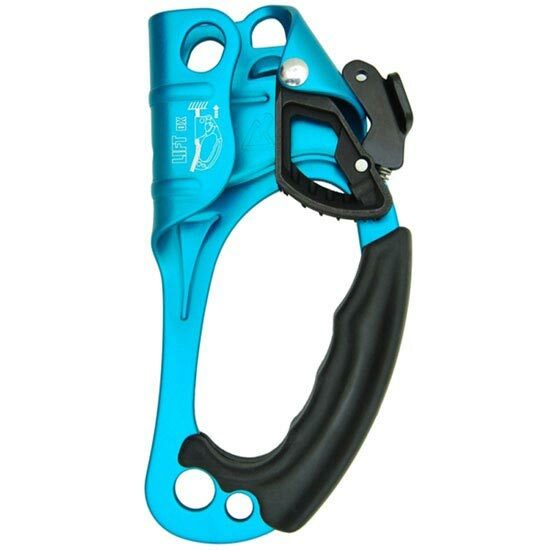 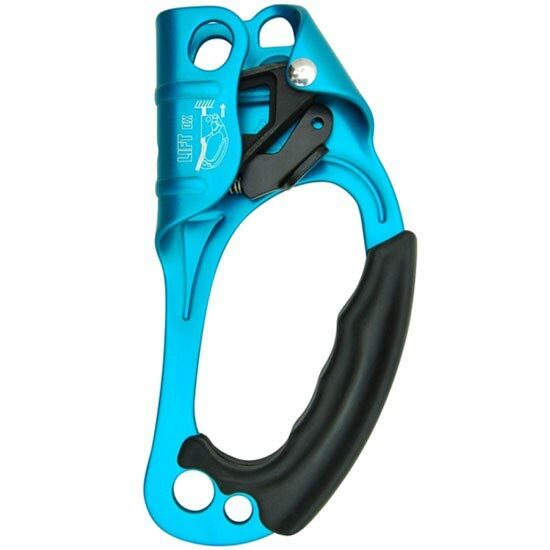 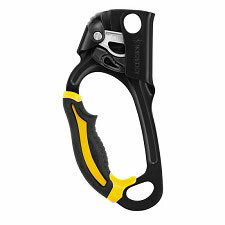 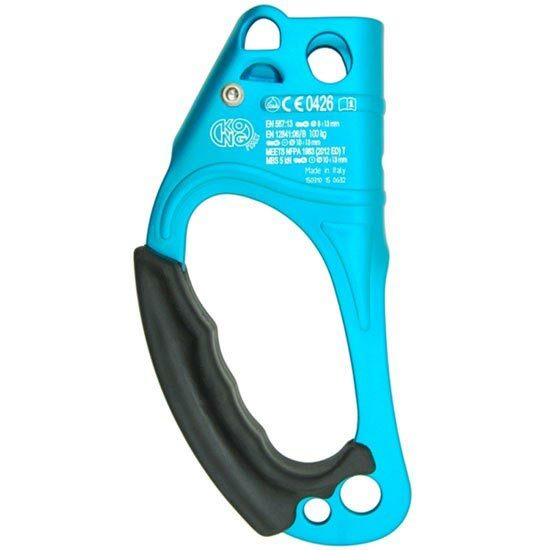 A rope clamp for rope access, this one is the right handed version. 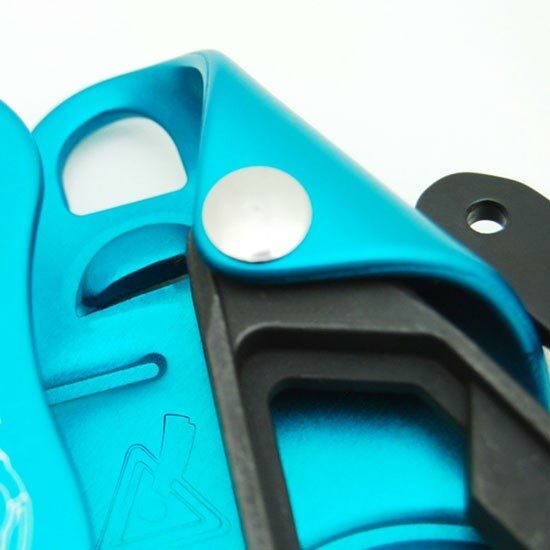 All the components are part of the latest generation of Kong blockers. 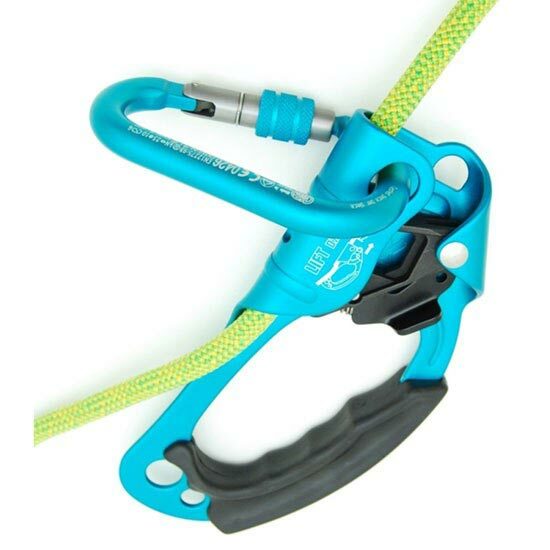 Excellent ability to block out particularly on muddy and icy ropes thanks to the holes on the cam and on the side plate. 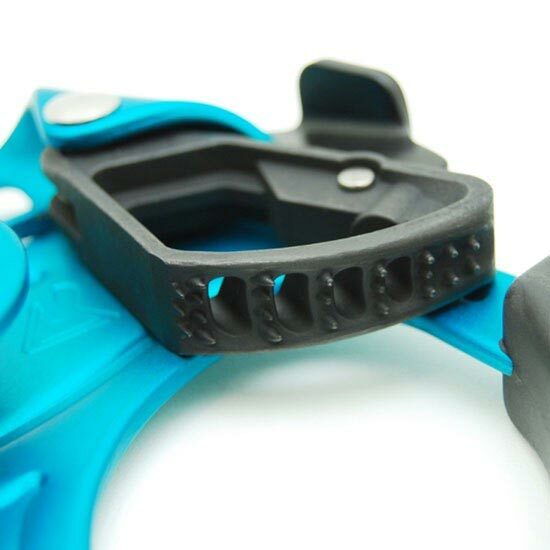 The new material and a special chemical and thermal process give the cam, in addition to it's black color, a much higher surface hardness. 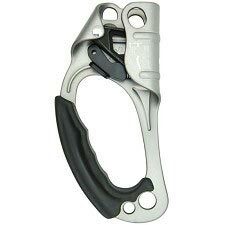 The result is a greater wear resistance and a reduction of the fragility that usually penalizes steels by quenching to low temperatures. 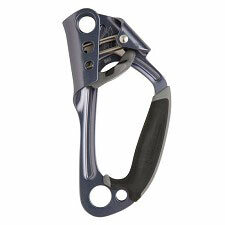 The new opening lever is ergonomic, easy to handle, protected from shocks and from the risk of accidental opening. 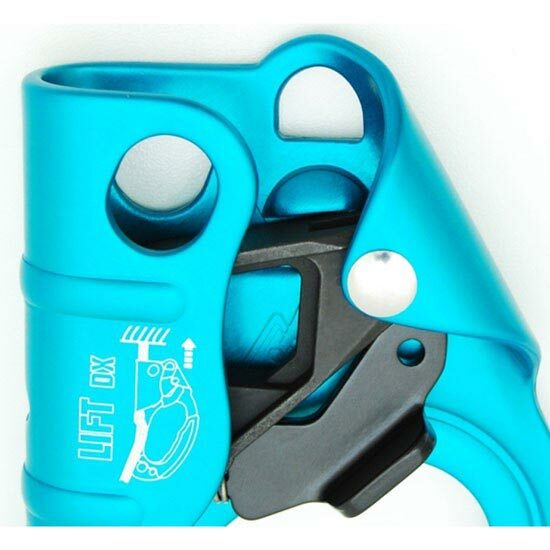 Fitted with anti-overturning system of the cam. 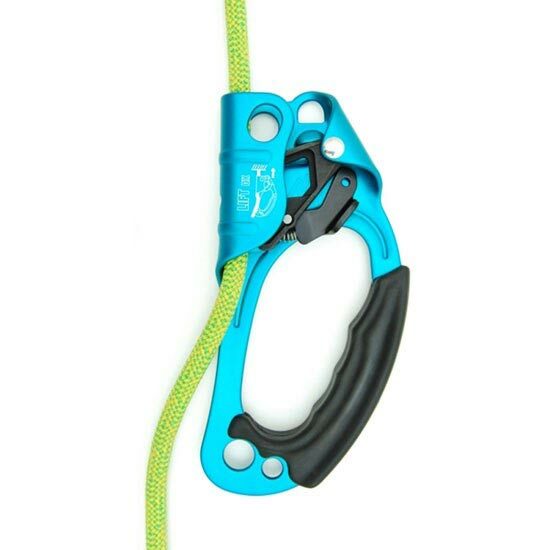 Trabajo con este material haciendo trabajos verticales, llevan una tralla impresionante y aún así funcionan, es el material más duro que he visto (hasta los he utilizado de martillos en algún apuro). 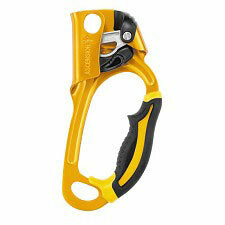 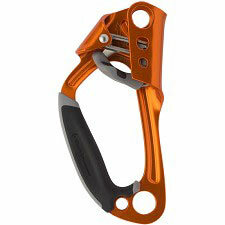 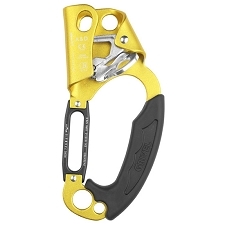 No son tan bonitos ni conocidos como los Petzl o BD...pero son más robustos fijo fijo.